This article gives you complete details about Assassin's Creed: Revelations. More details about the system requirements, game summary, game reviews, ratings etc are quoted in this article. Read the article full for more details about Assassin's Creed: Revelations. Assassin's Creed: Revelations is a Third-person action-adventure game released in the end of 2011. Assassin's Creed: Revelations is the latest version of Assassin's Creed. Assassin's Creed: Revelations is released in all platforms which include Xbox 360, PS3 and windows. 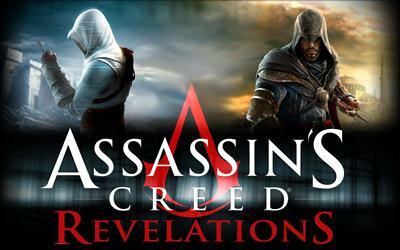 The release date of Assassin's Creed: Revelations will be on November 2011. Assassin's Creed: Revelations is the fourth edition in Assassin's creed series. The main characters of last three editions of assassin's Creed named Ezio, Altair, and Desmond are included in Assassin's Creed: Revelations. The developer of Assassin's Creed revelations is Ubisoft Montreal and Published by Ubisoft. The game was produced by Martin Schelling and designed by Alexandre Breaul. Assassin's Creed: Revelations includes both single player and multiplayer gaming mode. The new weapon introduced in Assassin's Creed: Revelations is hookblade. The game comes with 3d mode and is playable in all platforms with 3d gaming mode. The story of the game continues from Assassin's Creed: brotherhood. The game has got excellent reviews and ratings from different gaming websites and company. The game comes with excellent graphics and stunning stages and open world makes Assassin's Creed: Revelations special from other games. More details about the system requirements, ratings and reviews of Assassin's Creed: Revelations are given below.